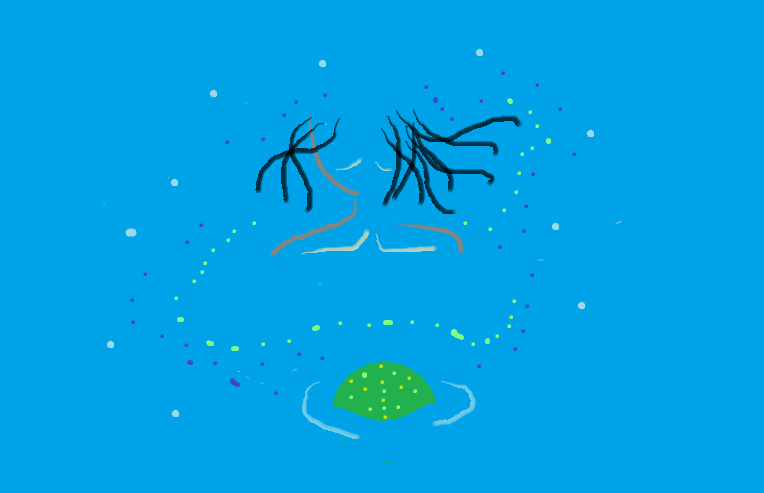 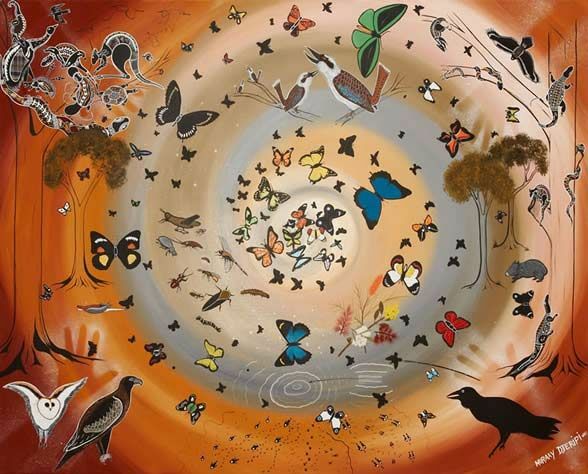 Students worked on the aboriginal concept of Dreamtime. 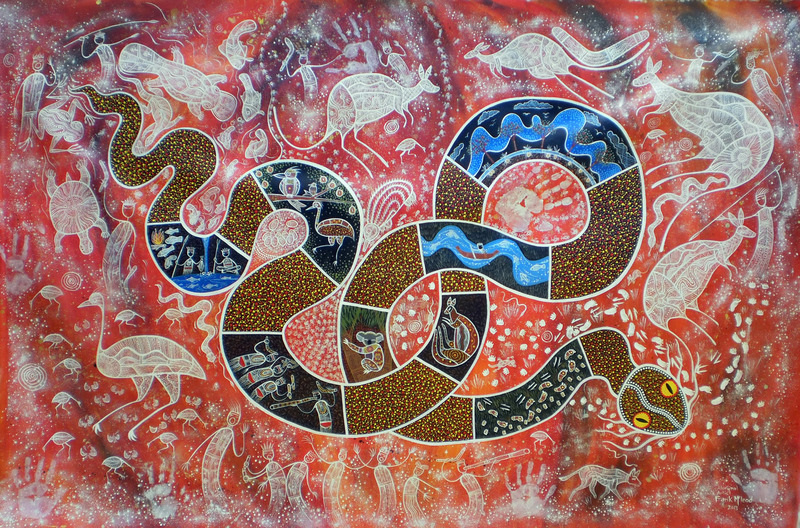 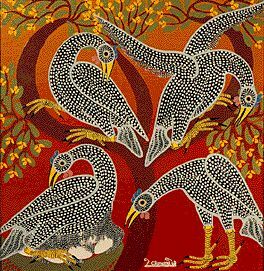 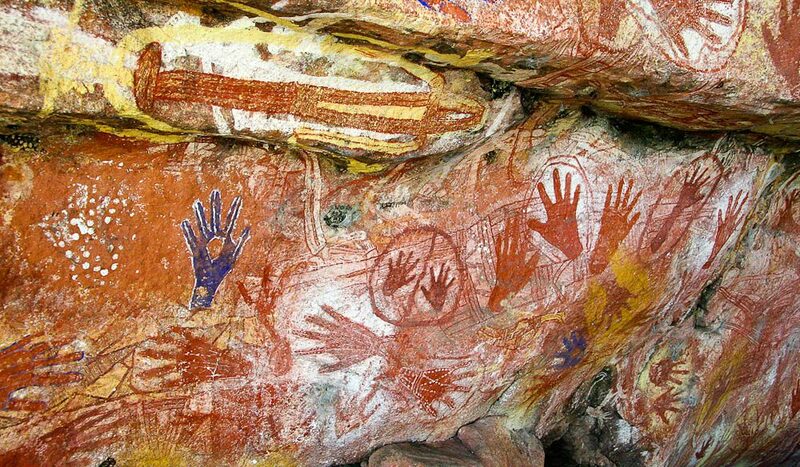 It has to do with a number of legends that Australian aboriginal people have passed throughout generations. 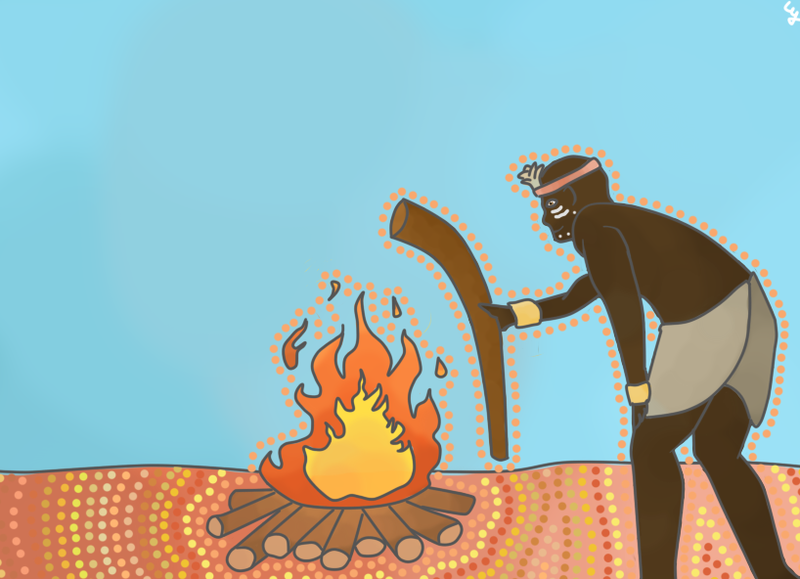 Ancient aborigines invented these stories to explain the world around them (how the world came to be, the origin of Uluru, where animals and their characteristics come from, etc.). 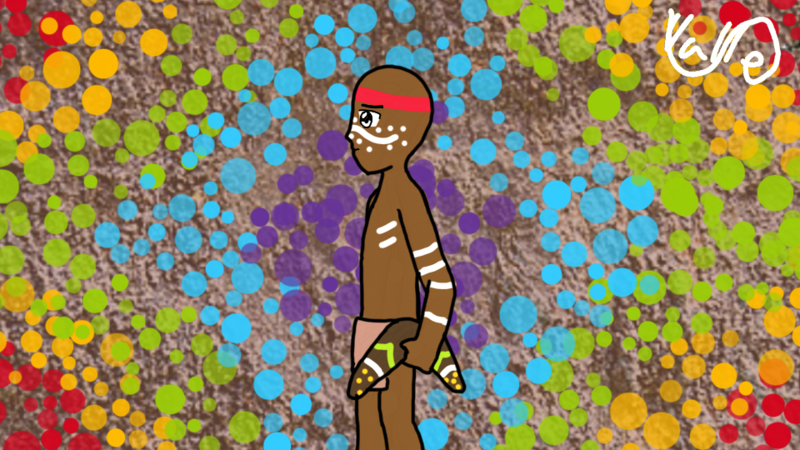 – All students wore dark clothes and painted their faces in the aboriginal fashion. 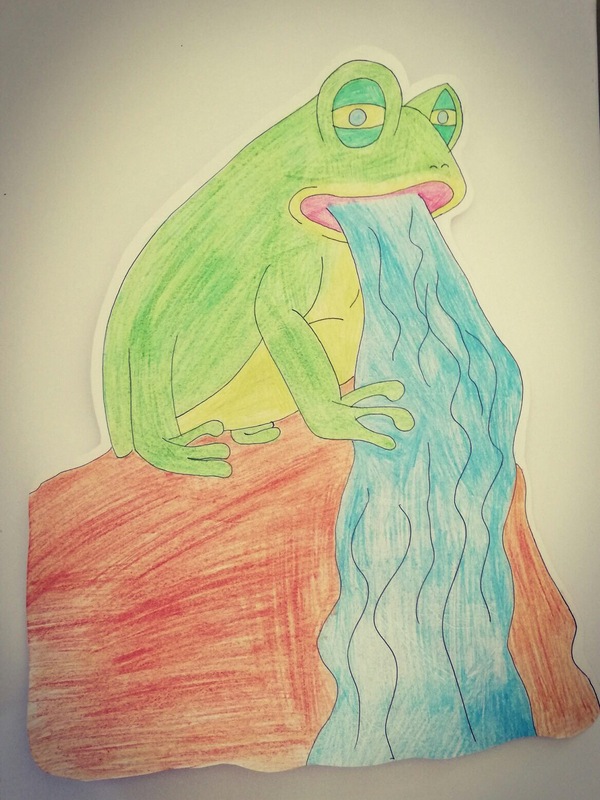 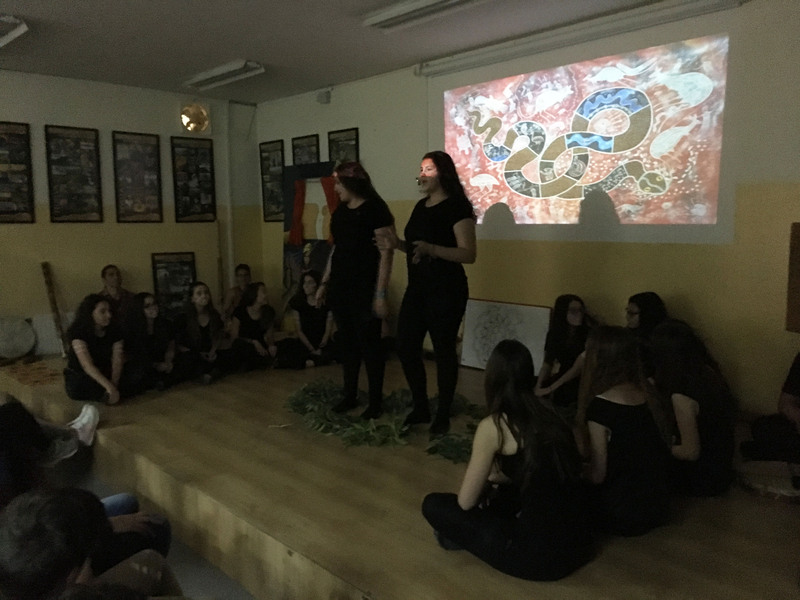 – 2nd-ESO students prepared eight legends in English and they even drew pictures following aboriginal style and patterns. 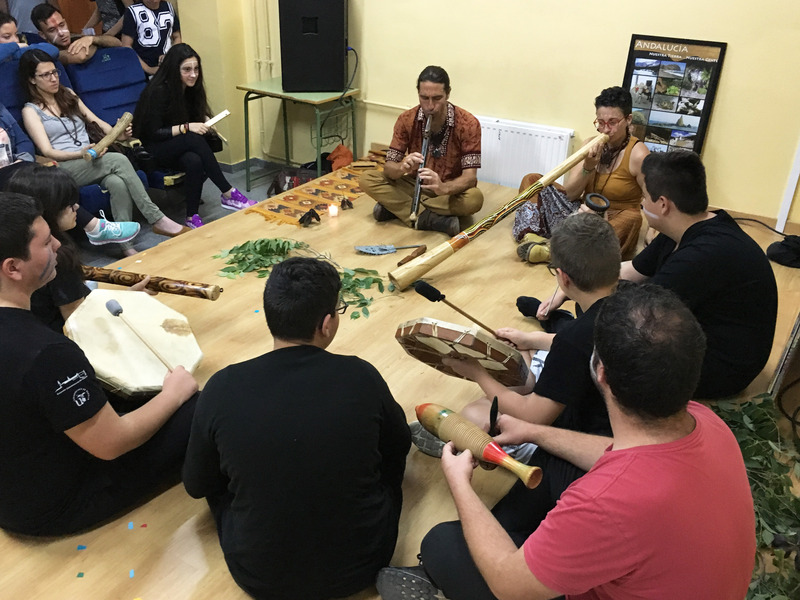 – Meanwhile, some parents and their friends played aboriginal instruments as a musical background. 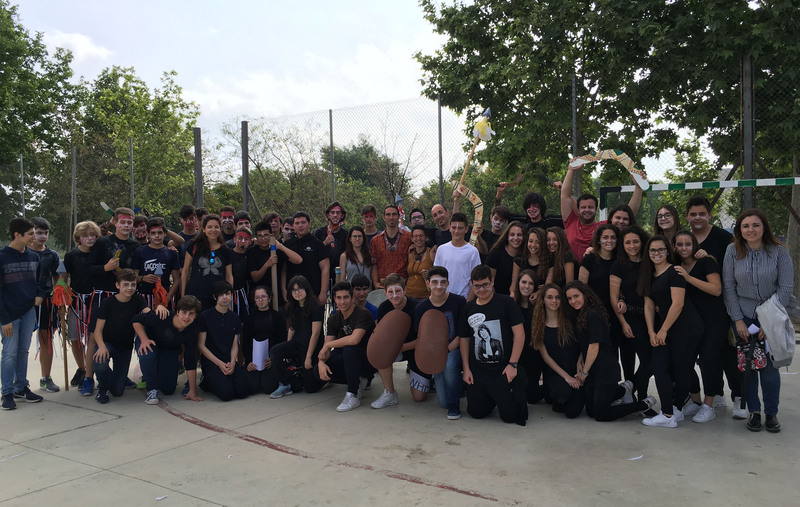 – PMAR students read the stories in Spanish (so, a bilingual version of every legend was offered). 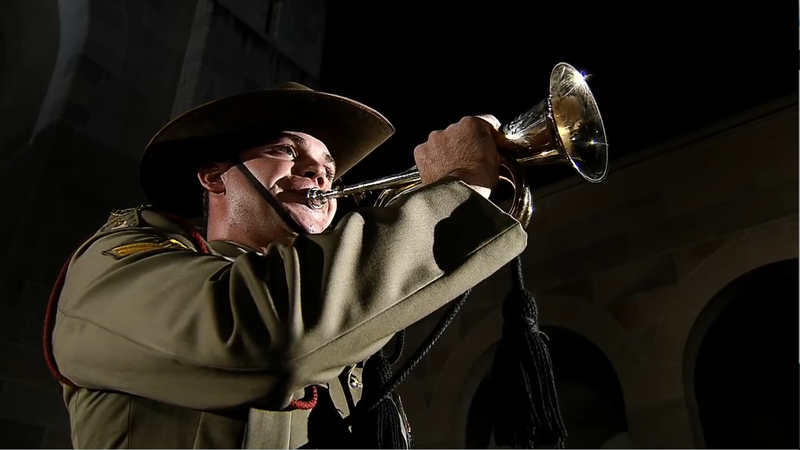 – On the 25th April we observed one minute silence because of ANZAC Day. 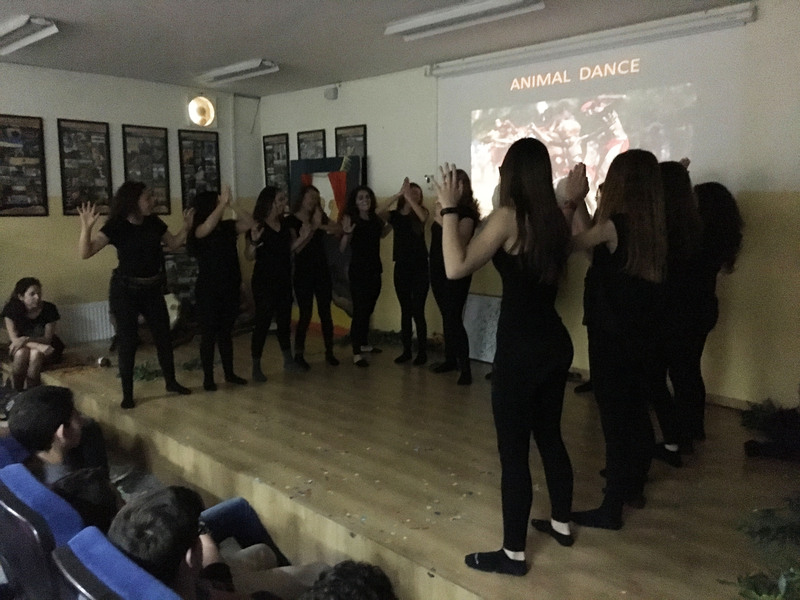 – Finally, 3rd-ESO students dance a spectacular aboriginal War Dance. 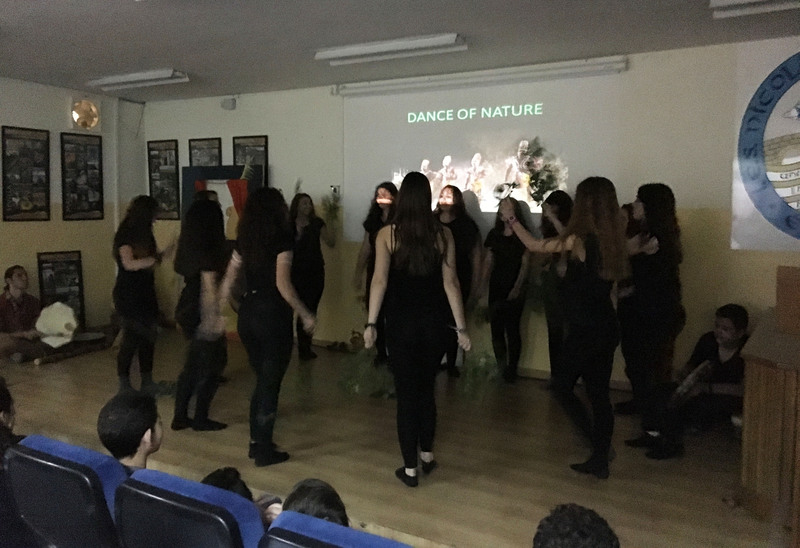 The presentation took about 90 minutes and it was offered to students from Primary Schools who are in their sixth year. 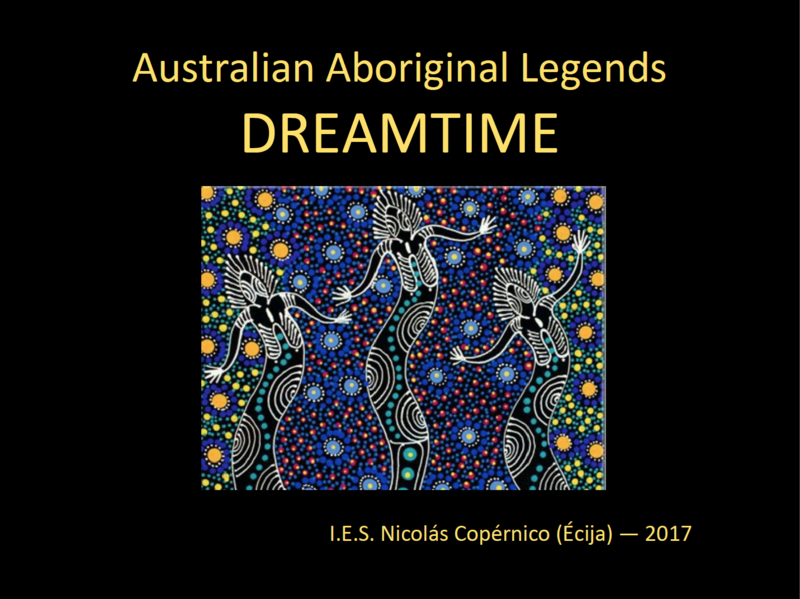 Here are the different moments of our DREAMTIME presentation. 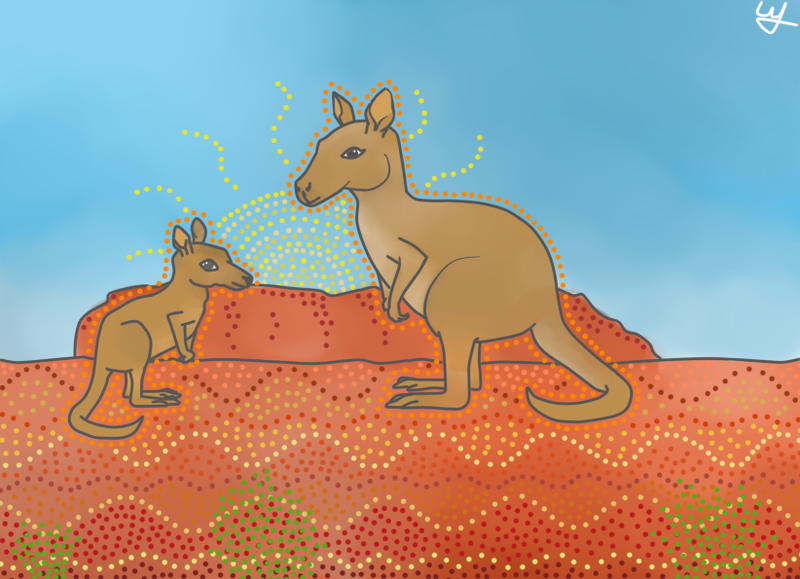 Click on every image and link to learn about them!